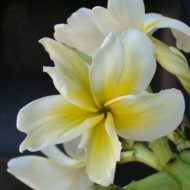 This is one of the famous Moragne hybrids, and one of our Top 5 Moragne Favorites–it is also pretty rare. 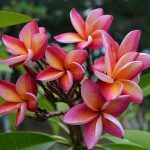 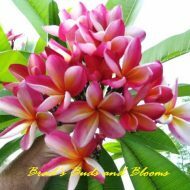 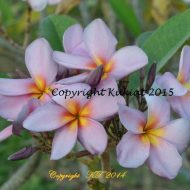 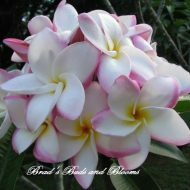 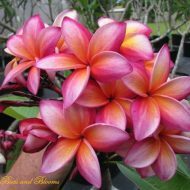 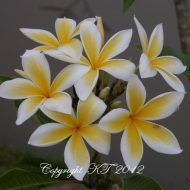 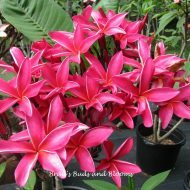 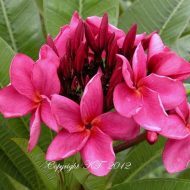 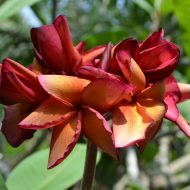 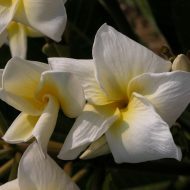 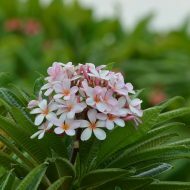 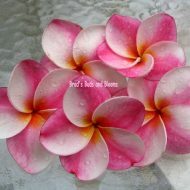 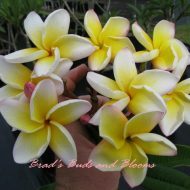 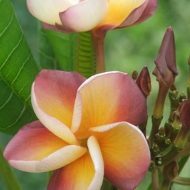 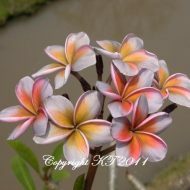 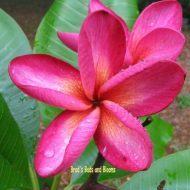 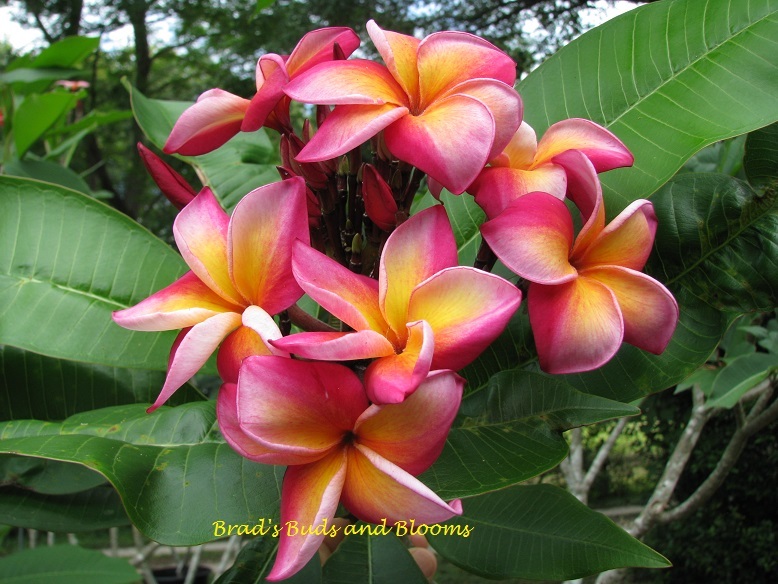 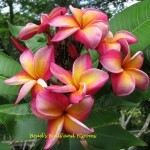 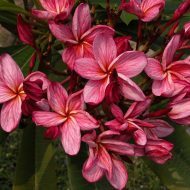 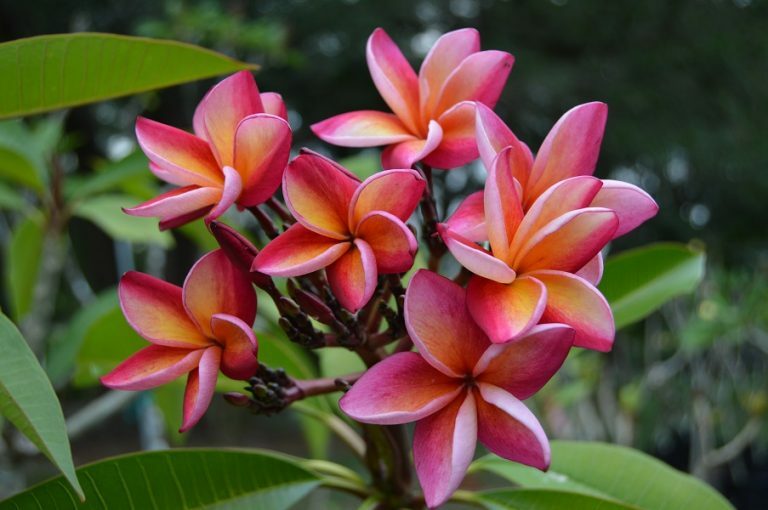 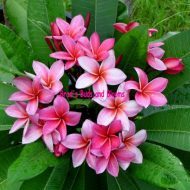 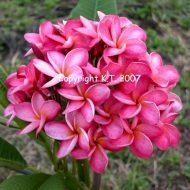 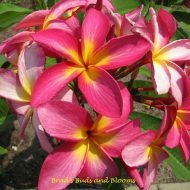 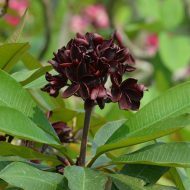 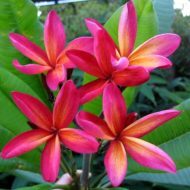 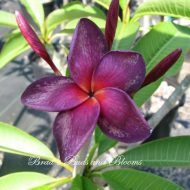 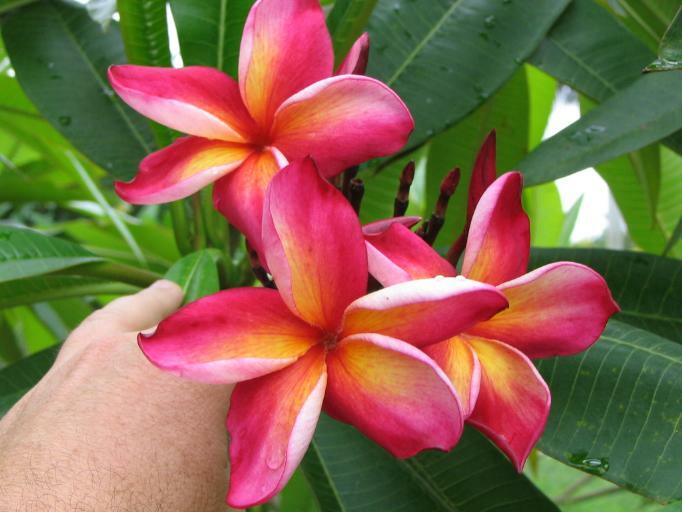 This beautiful plumeria produces large, 3.5″ inch, brick-red flowers with an amazingly vibrant golden center. 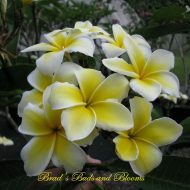 The petals are very overlapped and these blooms have a lovely, sweet fragrance. 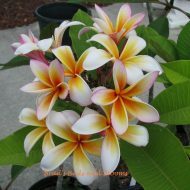 Rooted plants (NOT grafted)-approx. 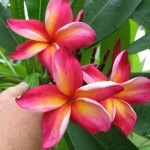 9-12 inches tall–measured from the soil line.